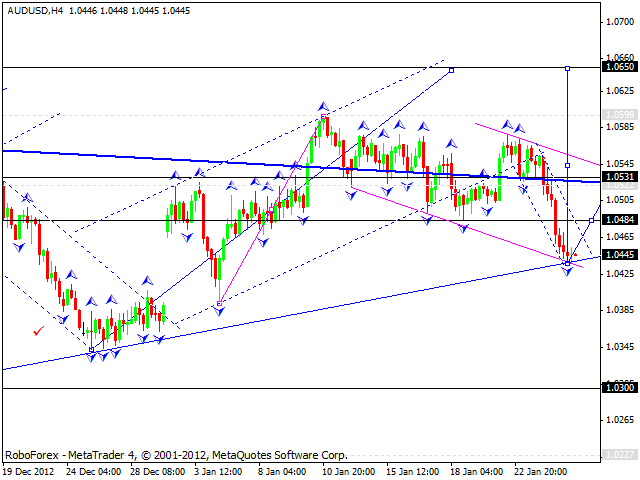 The EUR/USD currency pair completed the fifth ascending structure inside triangle and tested the pattern’s upper border. I think today the price may form a new descending structure to break the pattern’s lower border and then continue falling down to reach the level of 1.3150. An alternative scenario implies that the pair may continue growing up, break the level of 1.3400, and then reach the target at 1.3500, which is a local one for this wave. 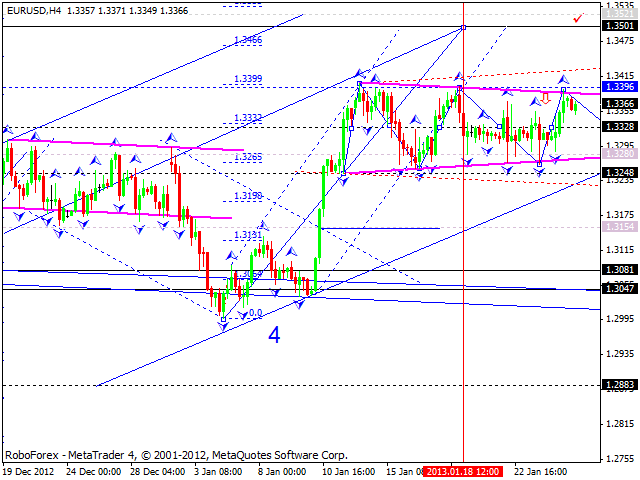 After that, I think the price must start a correction towards the level of 1.3080. The GBP/USD currency pair also continues reaching new minimums. The price has already reached its local targets and, in my opinion, may start moving upwards to return to the level of 1.5995 at any moment. However, before the price starts moving upwards to reach the above-mentioned target, it may reach a new minimum again. 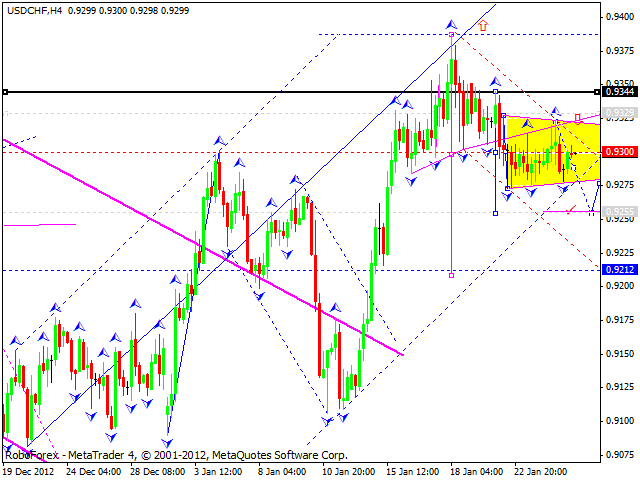 The USD/CHF currency pair is still consolidating near the level of 0.9300. Today we can see that the price is narrowing this trading range and forming something like triangle pattern, in this case the pattern, which continues a descending movement. A local target is at 0.9260. Later, in my opinion, the pair may return to the level of 0.9300 to test it from below and then continue moving towards the main target of this correction at the level of 0.9220. 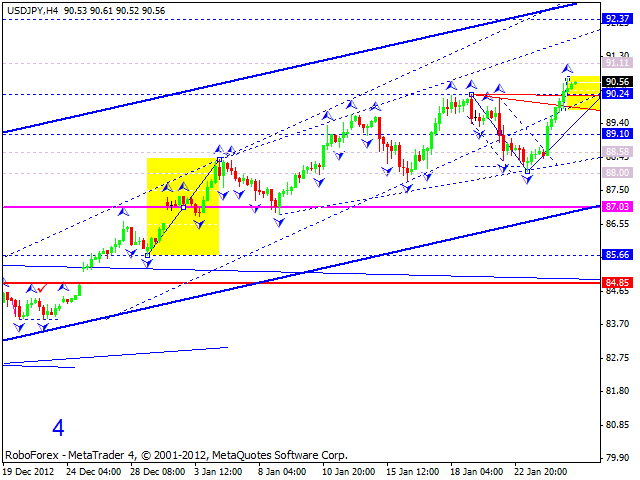 The USD/JPY currency pair continues moving inside the current trend. I think today the price may form a narrow consolidation channel near the level of 90.20 and then continue growing up towards the target at 92.30. 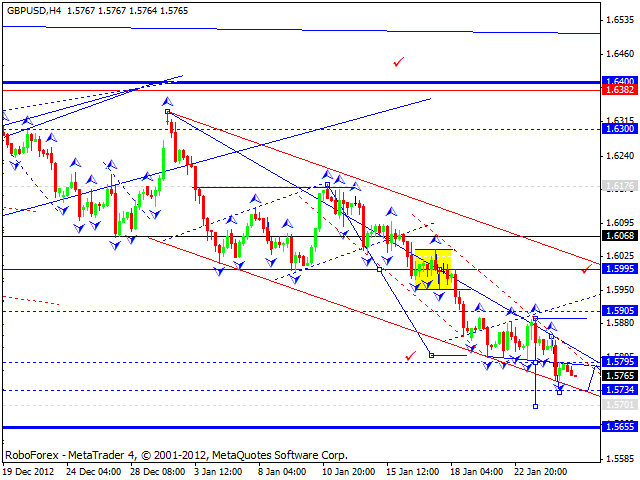 Australian Dollar completed this wave of its correction. Today, in my opinion, the price may form a reversal pattern to continue growing up and reach the first target, which is at 1.0650. 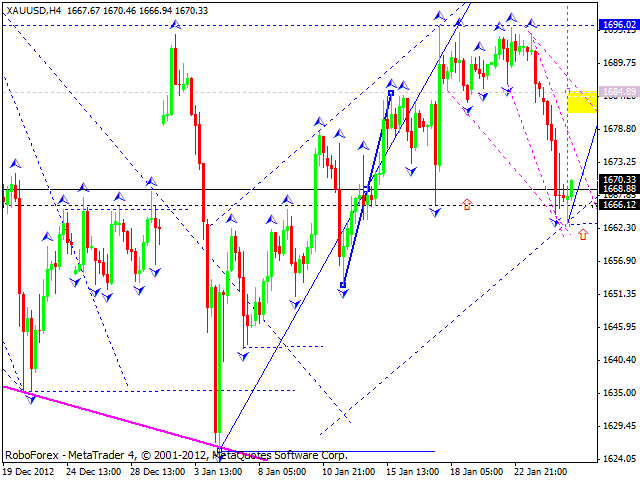 Gold completed a correction by reaching the level of 1670. I think today the instrument may form any kind of reversal patter in order to continue moving upwards. The target is at 1707.